Charleston, West Virginia, is the capital and sits right in the heart of the Mountain State. While nature lovers might like the wild and wonderful places in the state, Charleston offers plenty of opportunities to learn what the state is all about, listen to great music, and experience local art and galleries. Don’t miss these seven activities when you visit. Need a quick overview of what the Mountain State is all about? Head over to the West Virginia State Museum, part of the Culture Center next to the state capitol building. Run by the Division of Culture and History and revamped in 2009, the museum educates visitors on the state’s early history with the Native Americans who hunted in the state and the early settlements when western Virginia was worlds away from the colonies. It also covers the Civil War and statehood, the beginning of natural resource extraction and the coal industry, and today. 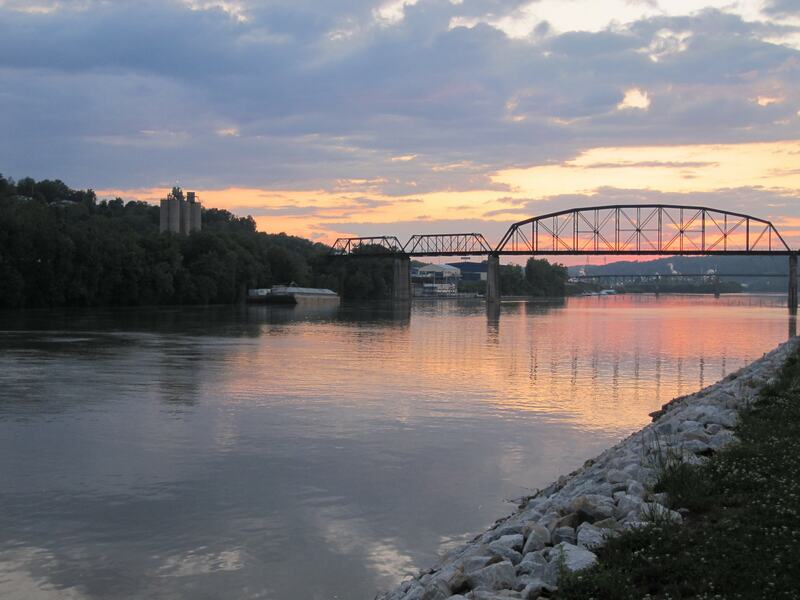 Charleston sits right along the Kanawha River. Starting at the West Virginia State Museum and State Capitol complex, you can walk 1.5 miles (2.4 kilometers) west toward the downtown historic district. There, the Haddad Riverfront Park features a pavilion and stage with free, live performances over the summer. Walk another mile (1.6 km) west, and you’ll arrive at Magic Island Park. While it’s not an island in the river anymore, it is magical with a splash pad and playground for kids, sand volleyball courts, and plenty of grass to spread out a blanket or toss the frisbee around. The view is especially scenic when the sun sets over the river. Located at the site of the former Kanawha and Michigan Railroad trainyards, Capitol Market offers year-round shopping inside and a seasonal farmers’ market outside. Inside, you can buy West Virginia-made products from Fiestaware to honey or grab a bite at one of the food vendors, while the outside market offers seasonal produce and plants between April and December. More than just a bookstore, Taylor Books has become a Charleston institution. The store, which opened in 1995, sells books, of course, and has readings, but it also hosts live music and exhibits local artists in the gallery space. Step in to check out the books and stay for a coffee and pastry or locally brewed beer and some homemade quiche. And while you’re in the neighborhood, be sure to check out the other shops and restaurants along Capitol Street. If you happen to be in Charleston on the third Thursday of the month, you can check out special openings, performances, and exhibits at 34 galleries, art spaces, and venues as part of the ArtWalk. You can also visit the art spaces on your own with a self-guided tour. For over 30 years, National Public Radio stations across the U.S. have broadcast Mountain Stage, a radio program dedicated to showcasing classic and emerging musicians in folk, country, and bluegrass—genres which you might expect in West Virginia—but also blues, world music, and indie rock performers. When you’re in Charleston, you can almost always count on catching the live show on Sunday nights at the Cultural Center. The Clay Center for the Arts & Sciences of West Virginia has something for everyone. The space houses the Juliet Art Museum, exhibiting featured works from the permanent collection as well as traveling special exhibits, while the Avampato Discovery Museum is a kid-friendly hands-on science museum. The Clay Center is also home to the West Virginia Symphony, and the concert hall hosts touring musicals and special engagements throughout the year.